If you were a fan of the movie “Garden State” then for ~75% of you this was the first place you heard the band “The Shins”. A washy, guitar-laden, poppy alternative rock band founded by James Mercer, originally from New Mexico, and based in Portland, Oregon. 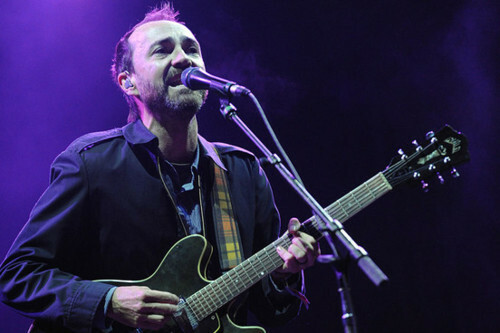 A short history of the shins: They were founded in 1996 and originally called “Flake Music”. After releasing a bunch of singles and a full-length they began touring due to the help of other bands such as “Modest Mouse”. Flash forward to 2001 where indie-label Sub Pop asked The Shins to add a track to the label’s Single of the Month Club, which eventually became one of their catalog stand-outs “New Slang”. Soon after, it received some critical acclaim and mass appeal in Zach Braff’s outstanding comedy-drama “Garden State”. The Shins were now one of the tallest buildings in the indie rock city. They released three albums over the course of their ride with Sub Pop. “Oh, Inverted World”, “Chutes Too Narrow” and “Wincing the Night Away”. My late brother Ben, who quite possibly was one of the biggest Shins fans’ ever had the chance to see them perform and meet them in the middle 2000’s. 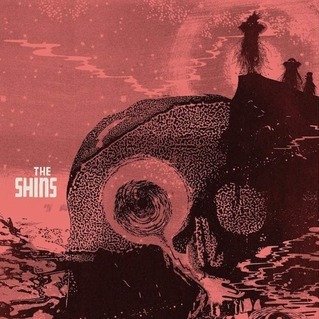 He turned me onto what makes the Shins so cool, dark and unique. They have some fantastic music in their catalog with such songs as “Kissing the Lipless”, “Saint Simon”, “Caring is Creepy” (my favorite), “Gone For Good” (my second favorite) and “Phantom Limb”. This bands music is imperative to any great music collection. In the middle of 2008, James Mercer decided to start his own record label called Aural Apothecary. In July of 2011 the band announced they would be recording a new album, releasing new music and touring soon after. On December 14th the album title was released; “Port of Morrow”. Yesterday, January 9th, they released the first single off “Ports” upcoming March release titled “Simple Song”. Check it out for yourself and mark March 20th to pick up their new album. Look for them to appear at Coachella, other festivals and tour the world too. I’m thrilled to see this band move forward with a major supporting James and The Shins efforts. Columbia will handle distribution as well as other “Shins” related marketing. Should be an incredible year for them. “Simple Song” is a fantastic introduction to “Port of Morrow”. Thanks Ben for your lasting impressions. You are missed and often remembered. photo credit to NME, Pitchfork Media and Addict Music. Music provided by SoundCloud.